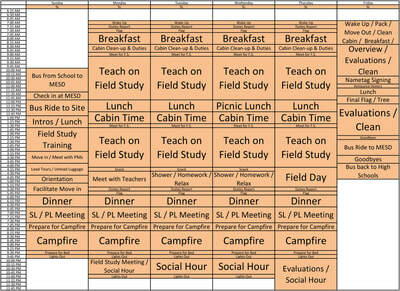 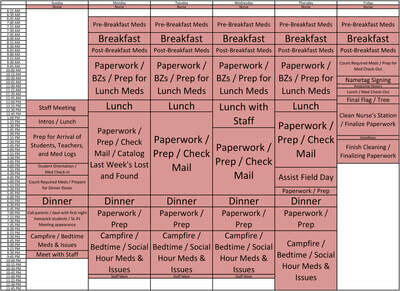 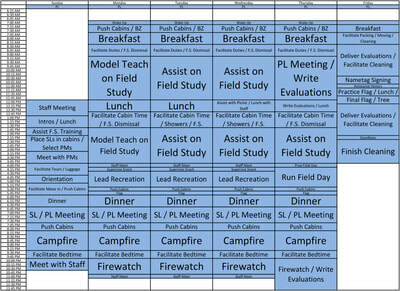 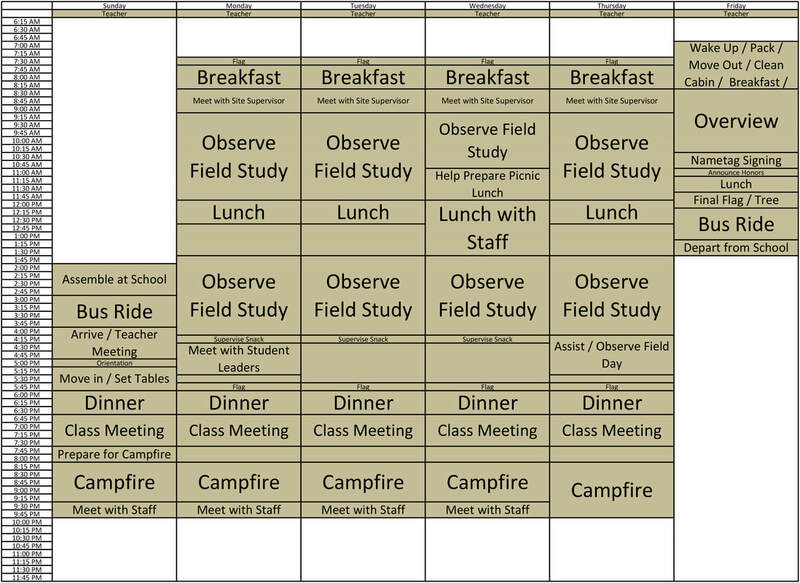 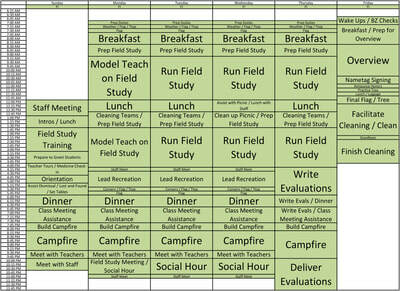 To the right is a typical schedule of an Outdoor School week for teachers. 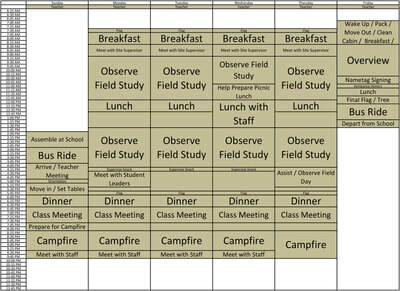 The schedule will vary by site and by week. 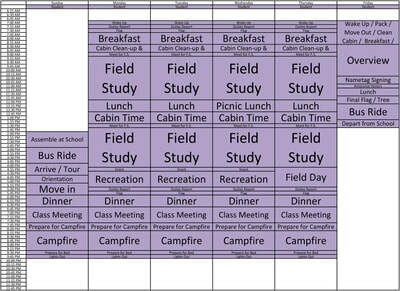 The purple schedule below is a sample schedule for students.